Cleaning mop heads regularly prevents the spread of bacteria and keeps them working at their best. 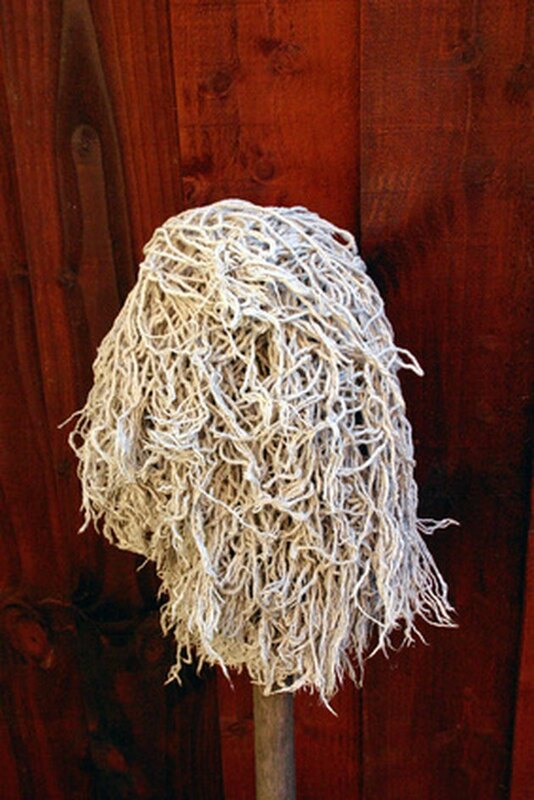 Most mop heads are made of thick cotton fibers that are capable of harboring multiple strains of bacteria and molds when they are left dirty for days at a time. A clean mop head has a greater capacity to absorb water and grime from floors. Soak mop heads overnight after every use to be sure that the thick fibers are completely flushed clean. A mop head that is not regularly cleaned develops a sour smell. Remove the mop heads from the handles by loosening the hardware that holds them in place. Many commercial mops have a single wing nut that you can turn to release the mop head. Lower the mop heads into a deep sink and knead the fibers with glove-covered hands as you run hot water from the faucet into them. Continue rinsing and kneading until the water coming out of the mop heads is nearly clear. Plug the sink and pour the soap and bleach onto the mop heads before adding boiling water until all the fibers are completely submersed. Work the bleach and water solution into the mop heads with your gloved hands and allow them to soak overnight. Skip the bleach if the mop head is made of sponge or another material that may be damaged by chlorine. Unplug the sink and rinse the bleach and soap from the mop heads with hot water before hanging them somewhere to dry. Spread the fibers of the mop heads out so that they will dry as quickly as possible. Reattach the clean and dry mop heads to the handles and tighten the hardware to secure them in place for their next use.